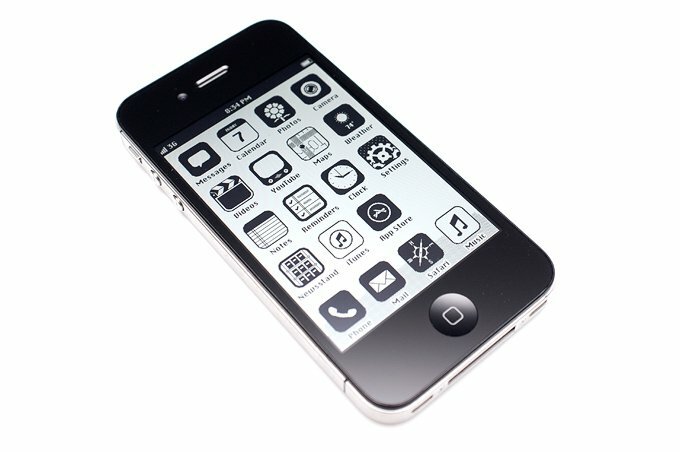 Quite possibly the most outstanding retro-concept mash-up of the Apple iPhone iOS and vintage Macintosh OS circa 1986 which would put these OS Icons around System Software 3.0-3.2. 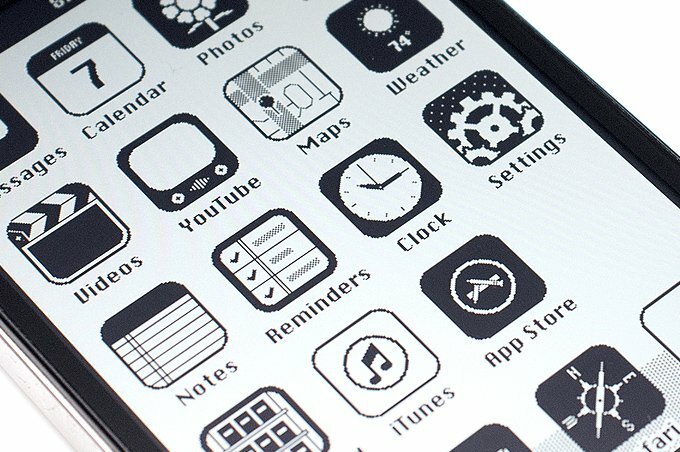 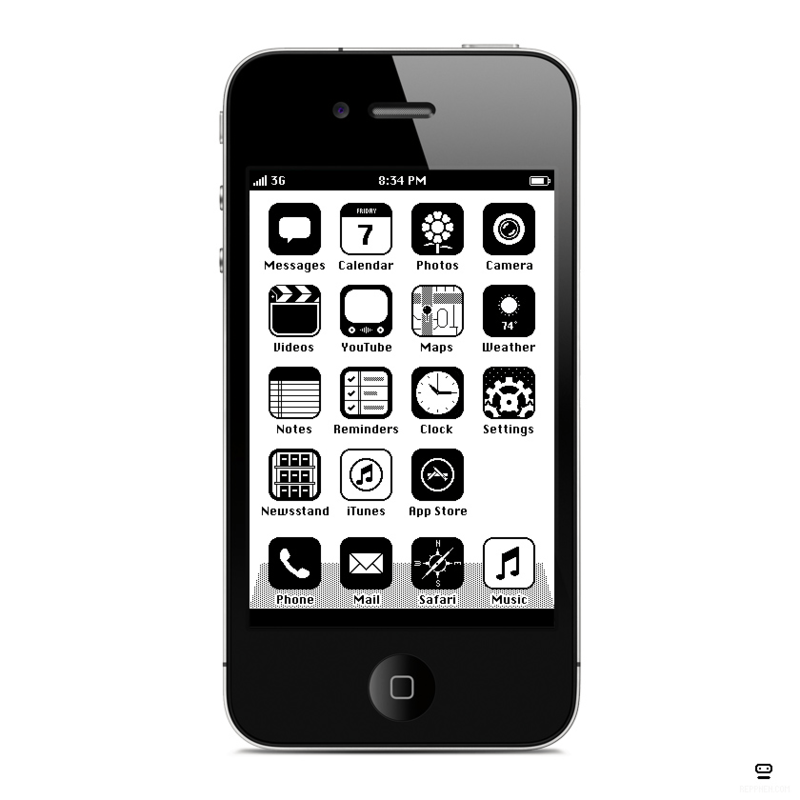 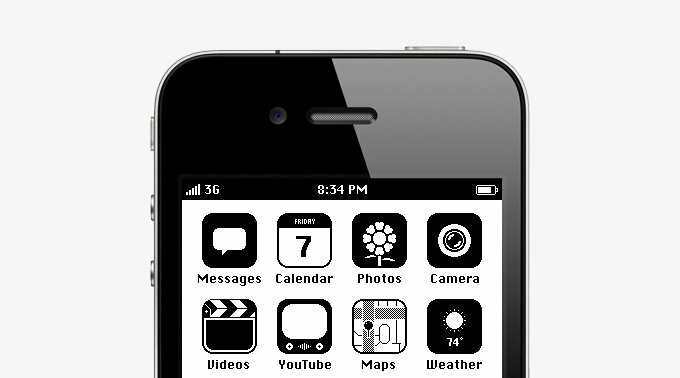 Those monochrome icons look particularly at home within on the black iPhone 4 body. 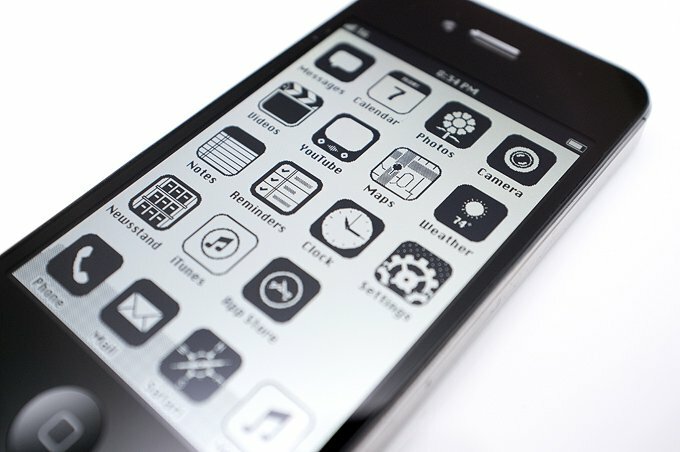 I absolutely and positively believe this is a huge improvement over the existing iOS theme and would like to slap anyone in the face if they think otherwise.